This short but fun hike starts just after entering the park through the East Entrance. 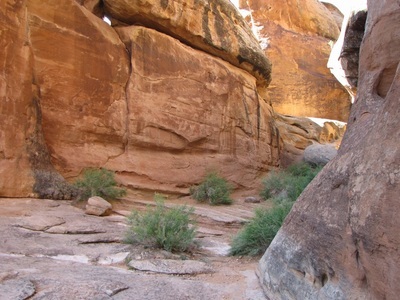 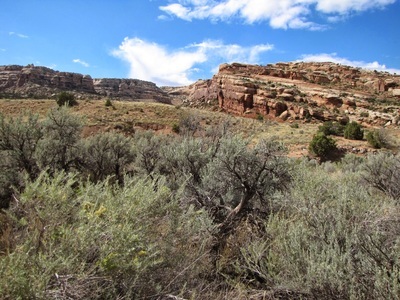 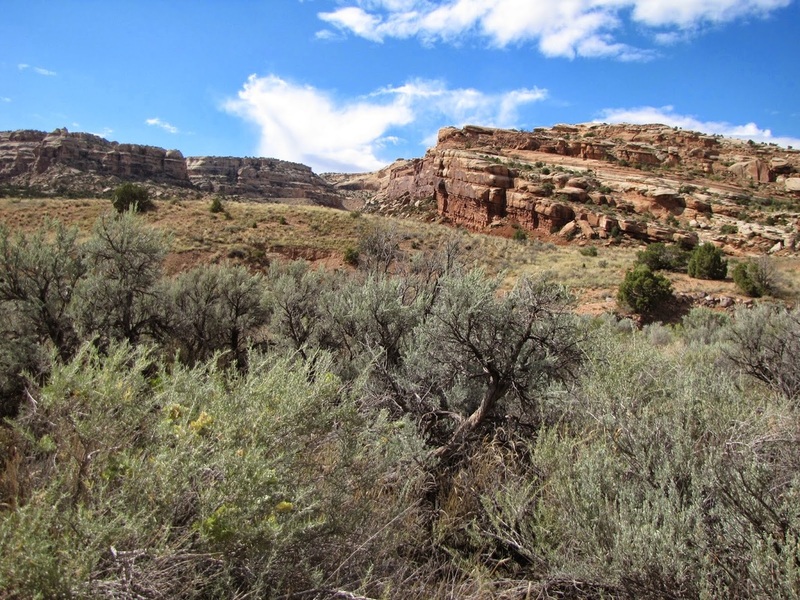 Follow the signs pointing to Devil's Kitchen through desert scrub following a small creek. 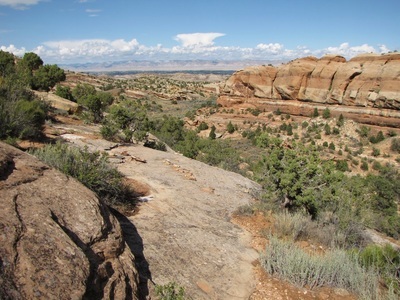 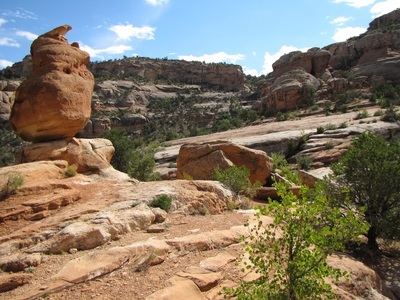 Head towards the rock formations ahead and keep your eye out for the unmarked steps carved into the slickrock on the right. 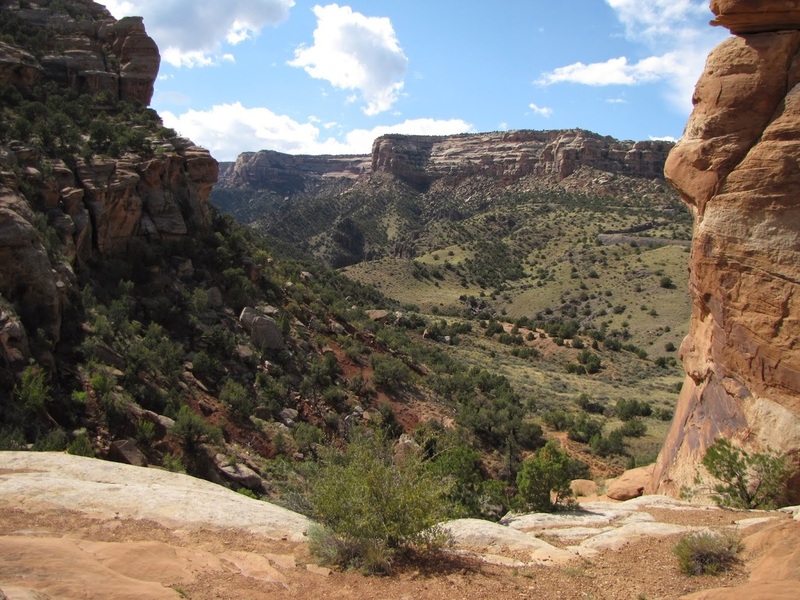 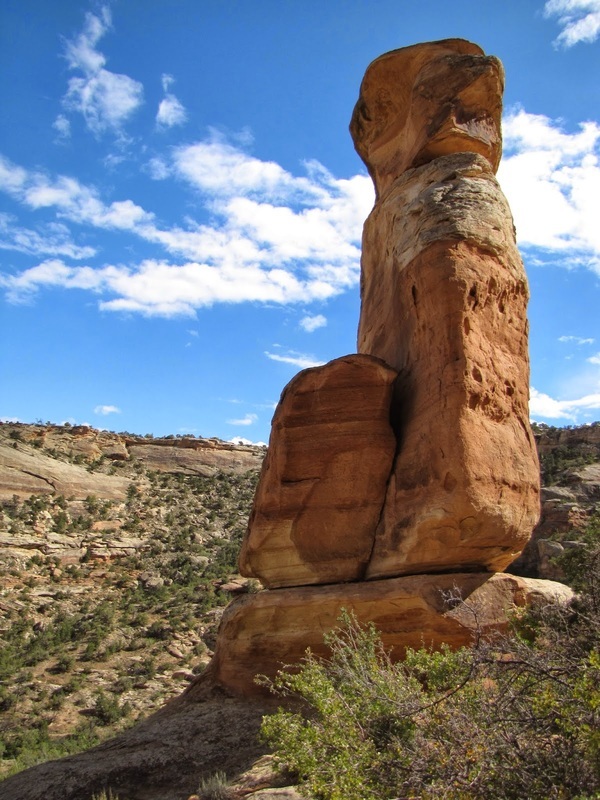 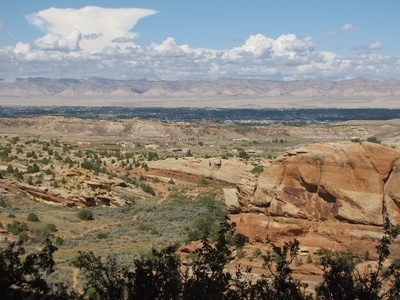 Follow cairns and a faint trail up the slickrock to the towering rock formations. 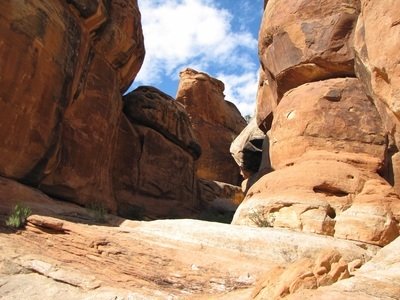 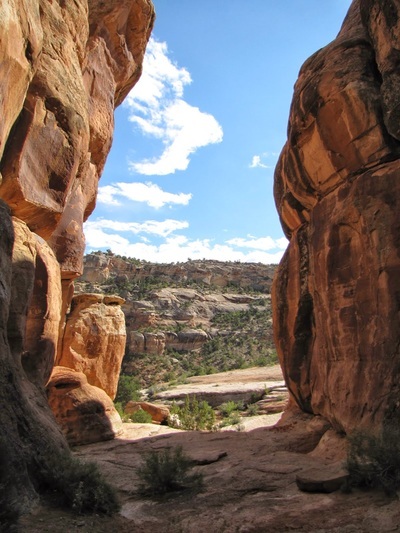 This is the Devil's Kitchen, a shaded flat area surrounded by towering rocks and views out onto Thoroughfare Canyon. 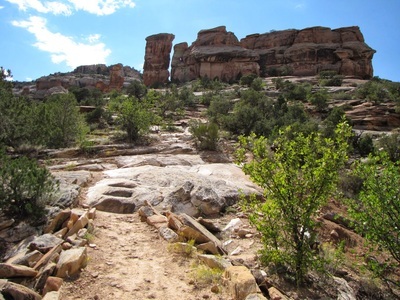 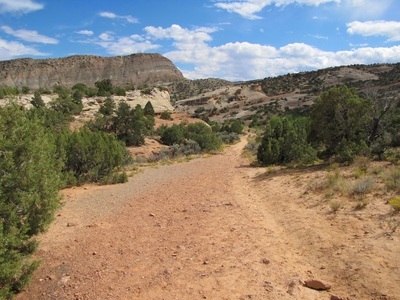 This is short but sweet trail but it can be tricky to find the slickrock steps. If you miss the turn off you can still explore the rocky terrain and enjoy the tranquility of the desert.